Will this charge up high drain Tablet's?. Like, eg. a normal iPad 9.7", and/or perhaps an iPad Pro 10.5"/12.9", etc?, or ... thanx. Good question, but no idea. thanks, just checked the manual, it's 0.4 amp, which I think is the same as 400mAh? If you find out how many MA per hour the fan draws you can work out how long it will last. Thanks, that is great. I wanted to add this when i posted the deal. unfortunately i could not find this power bank on the website, so concluded it will be difficult to collect it if you can't order it. 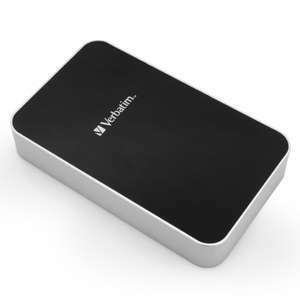 I've typed power bank, also Morphie and could not find this item. C&amp;C may help for other items anyway. Also free click and collect at the moment here. Also in the Sheffield Kilner Way store, but all pink. Two year guarantee. Bought. Thanks, OP. It should work IMO, but don't know how long will last. Yes, it has seperate input and output sockets. I can vouch for Ravpower devices and their longevity. My two 20000mAh power banks bought in 2015 are still going strong. Yes they take ages to charge and are quite heavy but they are a lifeline to people welded to their phones on long journeys and holidays. No worries dude, shame it disappeared so quickly. Today, I received the Xiaomi power bank purchased from the eBay seller recommended in your link. The one that I had received was a fake and I regret not checking their feedback before purchasing as there were also complaints that they ere selling fakes. I will be making an eBay claim. How many cells in this? If there's only 3 that will be an amazing size! I understand. Its the same as cars. Toyota and Honda sell way more than Ford. However, Ford is still the brand people buy cos of name or brand association. Its the same as Huawei. I sooner buy Huawei or OnePlus these days over Samsung or LG. 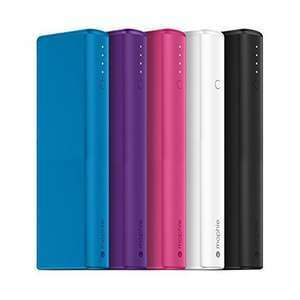 Never miss a 'Power Bank' deal again! I picked up 4 a couple of days ago (Baby Pink and Baby Blue), also the regular version (8,000mAh in Baby Blue and Baby Pink) are reduced to about £8. Would say this is nationwide if it's in stock. How small is this ? anything better at this price point? Voted hot, this is a good BP and the price is good too. Yes, was £10 at some point, but that's history. Yeah its really £35 shipped, plus probably get hit by customs. How much!!!! I'm a cheap skate though, I only pay up to a pound per 1,000 mAh, but thanks OP!!! Active noise cancellation is rubbish when I use these cans in the gym. Am I asking to much at this price point? I have plenty of their gear and a different set of earphones than these. I have become brand loyal, which is unusual. Yes, some say they're a generalist, manufacturing all sorts and they're right. Consistency is the key, so that's just fine by me. We are going on our 1st family holiday abroad with the kids this year, could this be used to charge their tablets whilst in flight? I dont know the rules on things like this? I opened one instore.... Proper 1980's Taiwanese plastic. What charge current are the usb sockets rated at? If only 0.5 or 1.0 Amp its usefulness is limited, if it supports 2.4A I’d probably buy it. 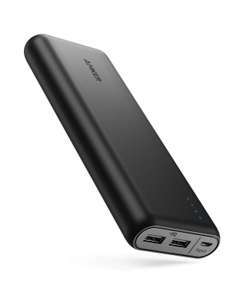 Anker PowerCore 20100 - Ultra High Capacity Power Bank with Most Powerful 4.8A Output £26.39 Sold by AnkerDirect and Fulfilled by Amazon. Not the most attractive price. Got one for £22.49, albeit in 2016. This is the same exact model, it hasn't changed or improved in over 3 years. RAVPower do a 20k mah battery that's posted here on offer a few times a year for about £17 and is currently £22. I own both and the only drawback I find with the RAVPower one is it's about 1/3 wider, which honestly doesn't make a difference to me (they're both still beasts). I agree that carrying an actual tin of soup would be noticeable but that would be because of the size and shape. The actual weight I don't think it noticeable and the can of soup comparison was a poor choice. Apparently it's about a tenth the weight of a brick. I think a sliced up brick is a lot more easy to imagine as pocketable than a tin of soup. Agree. I would consider it std fit for any new chargers/powerbanks. Perhaps there's a licence charge that would increase the price..